Shea’s Performing Arts Center is teaming up with the national theater company iTheatrics to build and expand musical theater programs in Western New York middle schools, the theater announced during a press conference today. During the first phase of the program, iTheatrics staff will instruct teachers in the basics of musical theater production in some 20 suburban and city schools across Western New York. That work will culminate June 7 during Shea’s inaugural Junior Theatre Celebration, a multi-school musical theater performance in the 710 Main Theatre. The goal of the program is to develop new audiences for Shea’s and to “provide students and teachers with an opportunity to work with Broadway professionals and enhance their appreciation for musical theater,” said Shea’s Education Director Holly Grant. The collaboration, financed by Shea’s and an anonymous donor, will build on Shea’s existing theater education initiatives, which include its popular annual Kenny Awards program for high school musical theater programs, a summer theater camp and school-time performances of productions that stop at Shea’s. Conte said that Shea’s will largely fund the project this year, with the intention to recruit a corporate sponsor in future years. The program as a way to create a sense of community among school theater programs that ordinarily remain isolated from one another, according to Timothy Allen McDonald, the founding chairman of iTheatrics and the former education director for the Broadway licensing company Music Theater International. The program is an outgrowth of a pilot project launched by Music Theatre International and the Shubert Foundation in New York City in 2005, which has since fostered productions at dozens of schools in the New York metropolitan area. 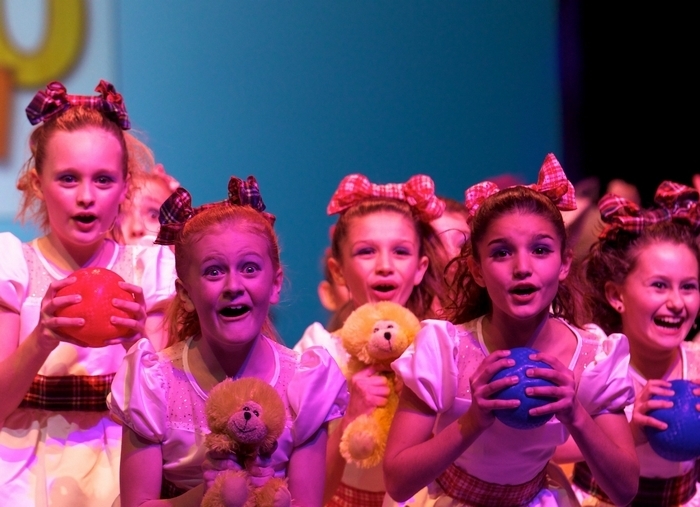 McDonald launched the popular “Broadway Juniors” collection of middle school-ready musicals in the late 1990s as the education director of Music Theatre International before splitting off to form the for-profit company iTheatrics in 2006. The next year, the fledgling company launched a similar region-wide musical theater education program in collaboration with the Blumenthal Performing Arts Center in Charlotte, N.C.
Buffalo will be the third market for the iTheatrics theater education franchise, which is provided at no cost to the participating schools, McDonald said. Only schools that are producing MTI-licensed shows are eligible to participate in the program, which is being run during its pilot year on a first-come, first-served basis. Conte said there are more than 100 middle schools within a 100-mile radius of Shea’s that are currently under contract to produce a show licensed by MTI, whose trove includes classics such as “Fiddler on the Roof” and “Guys and Dolls” along with many Disney titles and more recent hits on the order of “Legally Blonde” and “Hairspray.” Next year, Conte said, there will be a more rigorous application process.